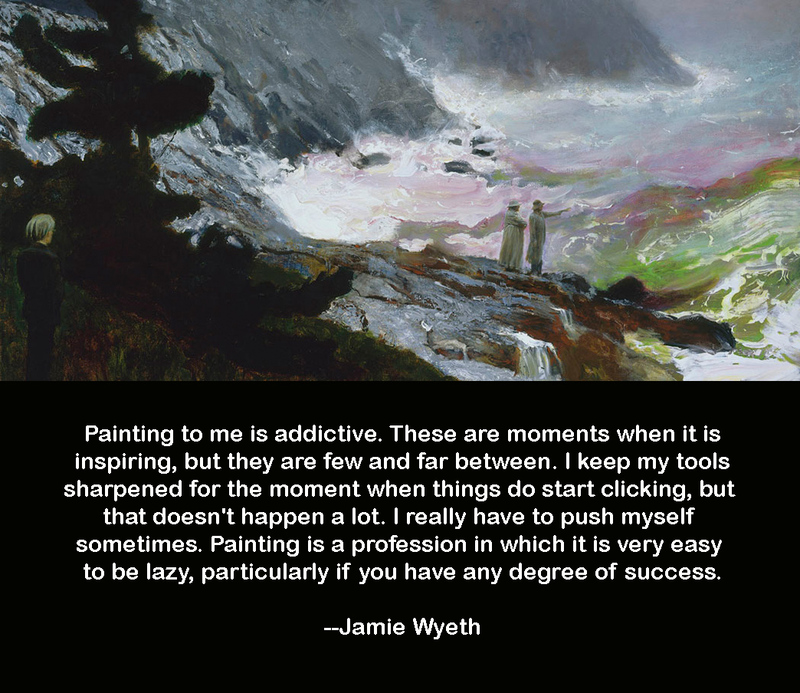 While I’m a much bigger fan of the work of his father and grandfather, Andrew and N.C. Wyeth respectively, I do like many paintings by Jamie Wyeth. I came across a video that shows him at work in his Monhegan Island studio on a painting titled Inferno which depicts gulls swarming around a boy as he stokes a trash fire that blazes in a burner made from an old fuel tank. I was surprised, for instance, by his use of a large sheet of corrugated cardboard as his surface as well as by the way he uses watercolor paint in the same manner as an oil paint. Even if you don’t paint, the video is an interesting insight into the physicality of his process. And if you do paint, it may make you want to consider a different way of approaching your next piece. Give it a look.